Becoming more and more popular for residential customers, front and back lawns are being transformed into hassle free, low maintenance havens for all kinds of people. From Wet Pour to Bonded Rubber to Grass Mats, there are various rubber play surfaces to suit your requirements, budget and aesthetics. All with certified Critical Fall Heights and installed by professionals. Metal skate parks regularly need re-painting with specialist 'grippy' paint for safety and to prevent corrosion. In some cases, re-welding and repair work is also required. We offer a high quality range of Artificial Grass and highly recommend Lion Lawns products for front and back gardens, schools, nurseries and commercial use. We offer a range of rubber safety surfaces to match budgets and equipment height for projects across the UK. With a speedy response time and attention to detail, your project is safe in our hands. We offer a specialist paint that is twice as durable as other well known brands on the market today at the same price. This reduces repeat applications by half. 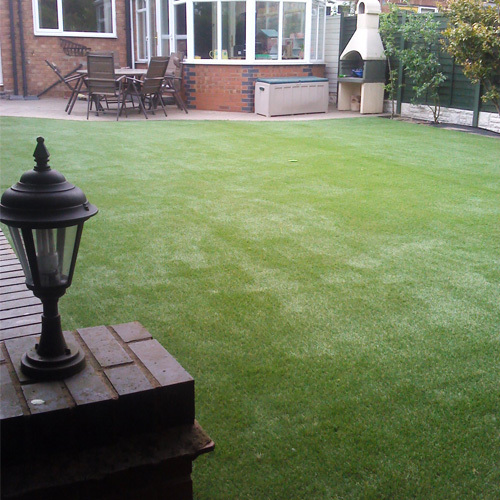 Artificial Grass Installation Domestic Gardens. Through dedication, hard work and attention to detail, Pro-mats were invited to become Approved Installers for Lion Lawns Artificial Grass in the Midlands. A position only achieved through quality workmanship and a commitment to customer service. 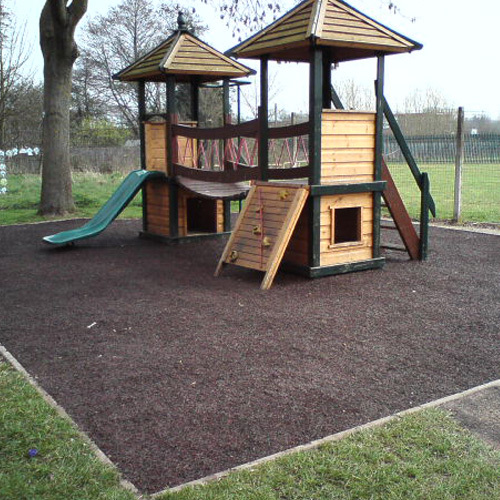 Rubber Safety Surfacing Schools, Playgrounds and Council Parks. Pro-mats install Wet Pour, Bonded Rubber Mulch, Rubber Crumb Tiles and Grass Mats across the UK. Whether working alongside playground equipment installers or planning and executing full playground installs, Pro-mats adhere closely to Safety Regulations, Surfacing Critical Fall Heights and long term play and use. Skate Park Maintenance Painting and welding of metal skate parks. 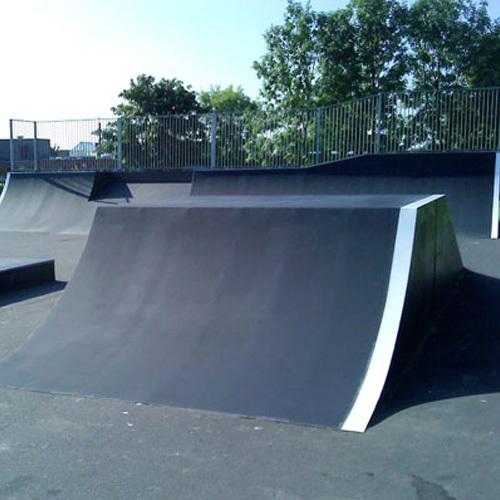 Pro-mats carry out maintenance of metal and part-metal skate parks across the UK. Specialist paint is used for its extended durability, sound deadening and rust proofing properties. The harsh grinding of skateboards, scooters and BMX wheels wear all painted surfaces eventually. Without paint the ramps become slippy and dangerous so a regular maintenance program is essential. The constant use and wear can also dent, crack and break ramps and welded seams. Pro-mats can repair, grind smooth, make good and re-paint all metal skate ramps for many more years of demanding use. Artificial Grass, Rubber Play Surfacing and Skate Parks - © 2014 Pro-mats.